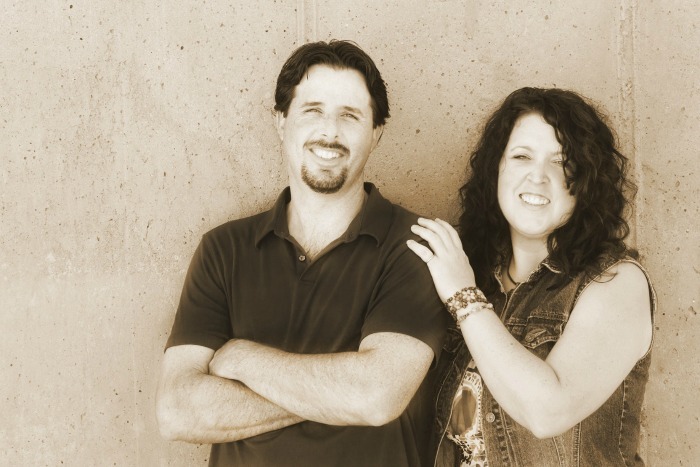 Have you ever had an idea in your head and thought it would be easy? And If you are a regular reader here, you know the Mister is the one that deals with exacts and that’s just what he did here with this…. *We use affiliate links to show like or exact products used. You can read our full disclosure policy HERE. 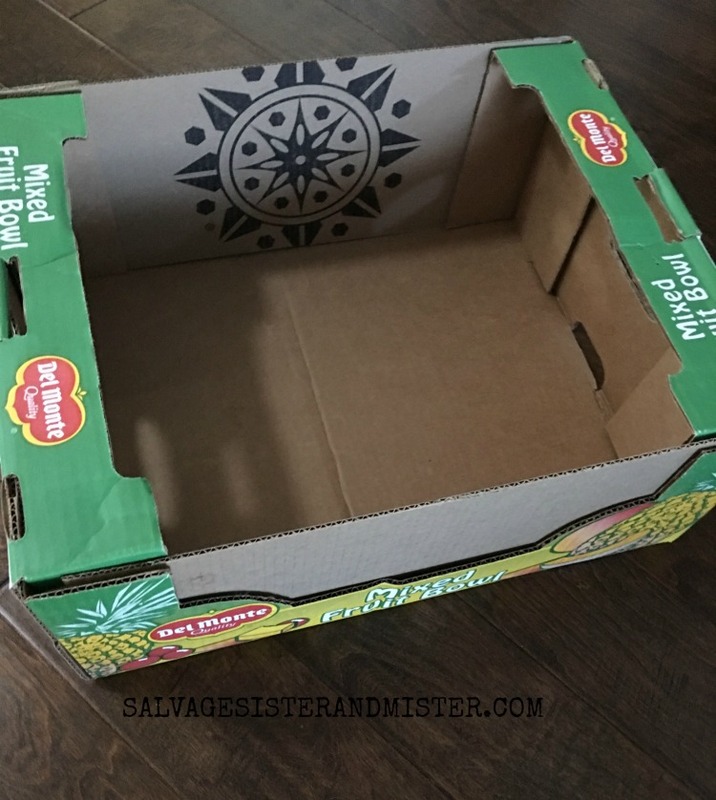 Cut any additional cardboard pieces to make all sides at the same level. A pizza box was cut to build up the two sides on ours. This cardboard box was able to fold apart and become flat. It at all possible, this is ideal. If you have a box that will not lay flat, you may want to follow this. 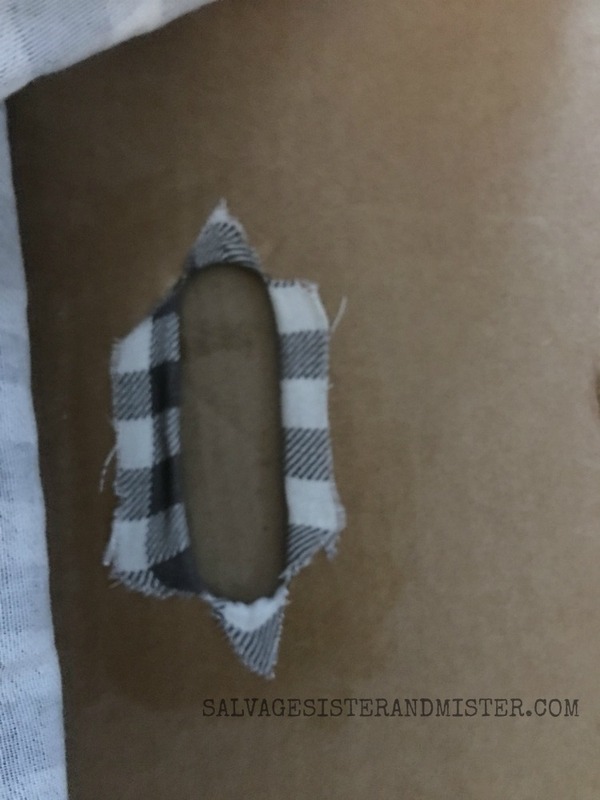 Determine what surfaces you want covered by the material and mark them, on the box, with a pencil/pen so you can tell which sides will be covered when measuring/cutting. 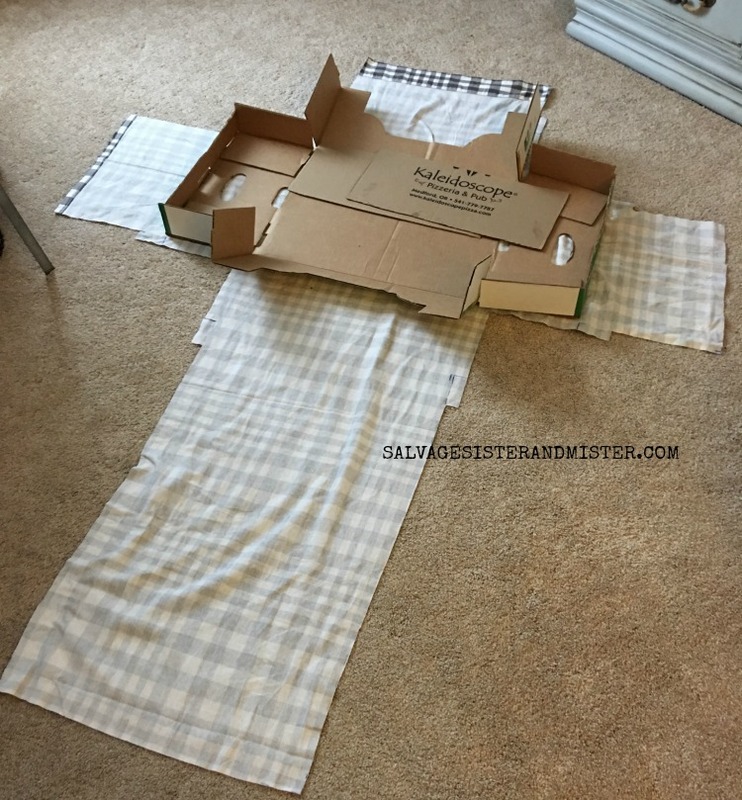 Layout cardboard out in the middle of the sheet/fabric – PRINT SIDE DOWN. Measure enough to cover the front and back of the cardboard. In corners, or areas that fold over that don’t need to be completely covered, just wrap over by an inch or so just to get a smooth/rounded edge. Measure the distance you want covered with fabric – inside and outside. 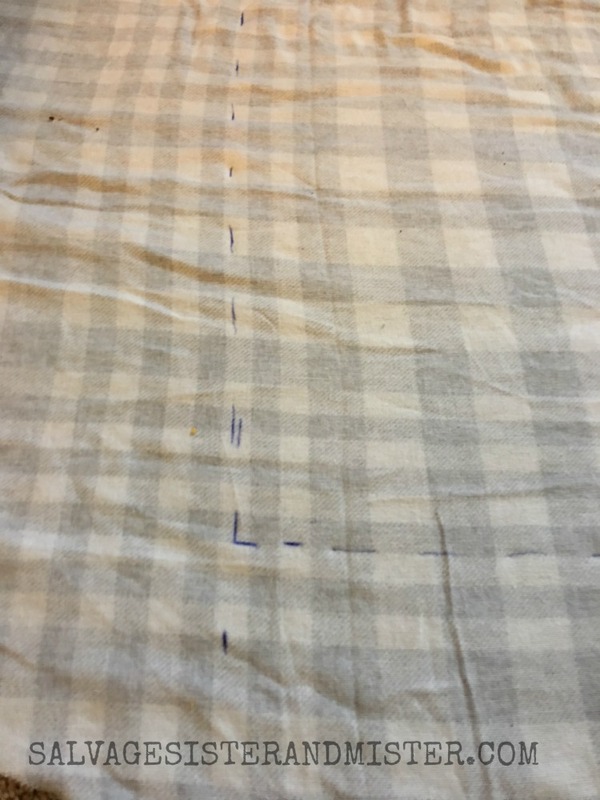 Mark lines with pen to see when cutting fabric. 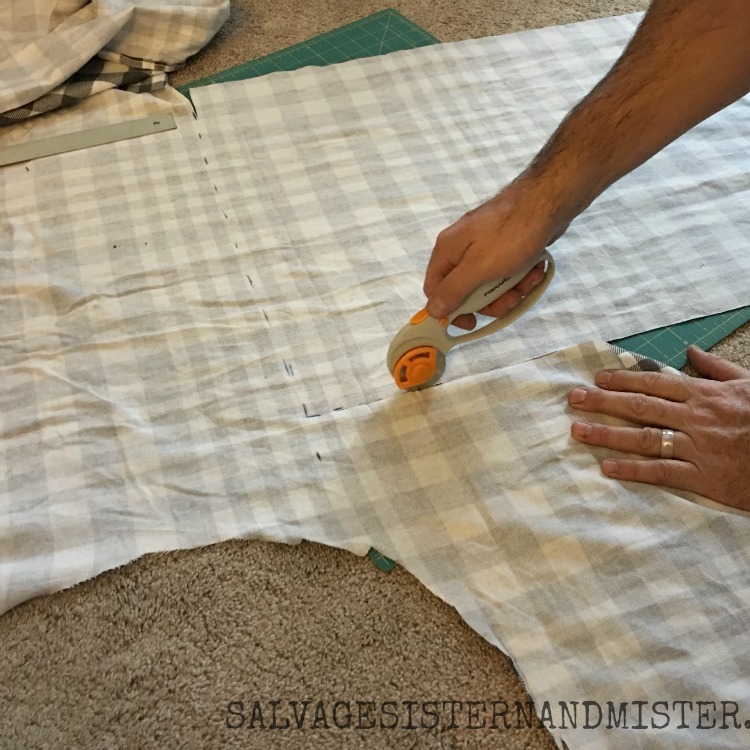 Cut fabric on a mat with your rotary cutting tool. Cut a hole in the handle on the side that faces outward and fold inward – glue down. Draw out the line of the handle, on the fabric, for the inside, and cut it out on each side. Once all fabric is cut, apply glue to box and fold fabric onto box. The box was folded back together. Decorate your basket as desired. 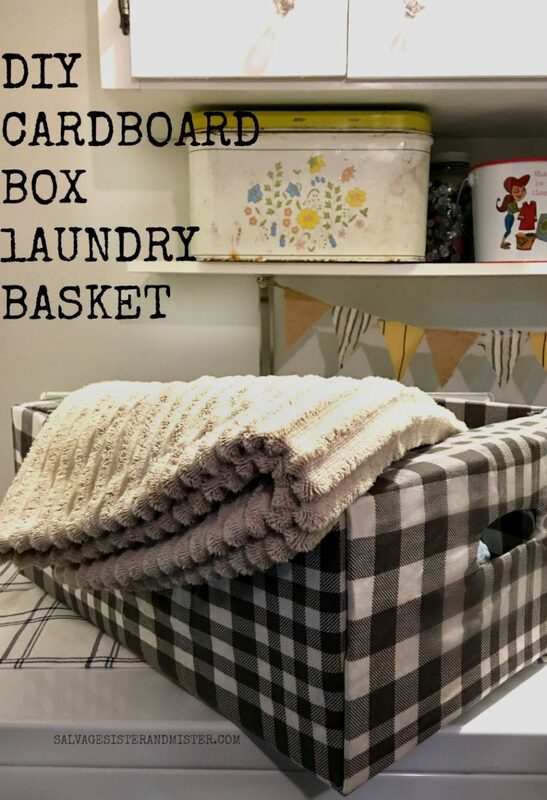 Not only does this cardboard box laundry basket reuse a box, but it’s the perfect size for kids to use as well. Oh, and wouldn’t this also make a perfect little bed for a kitty cat? Ingenious!! Love the black and white plaid you chose to cover it! Thanks Sam. It was a leftover flannel sheet. The ultimate in upcycling. Love the creativity in this project. Cute…I’ve covered lots of boxes. I’ll try this one soon. I have so much fabric. Great way to make some cute storage, and I sure could use some. Next time I go to Costco I’ll gave to grab a couple boxes.